What can you do to spruce up your garden this year? Want a few changes, and something new that is going to stand out? There are a few things you can do to attain that look you are hoping for. 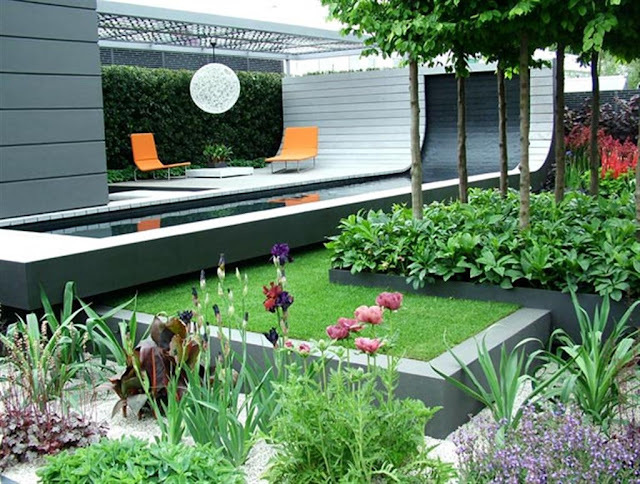 These are some tips to go about building your garden space this coming summer. Not only will it provide ambient lighting for a garden space, it is a great conversation starter. You and family and friends can sit around it, you can meet up for a fun time with friends, and it is a great addition to any outdoor garden space, which is going to look good around your plants, trees, and new additions to the garden. Make the water a focal part of the garden scene. If possible, add a pond. Add accent stones, different decorative pieces, and a small waterfall. Not only will this provide the water your plants need, but will also make for a show-stopping design, and look great, no matter how big or small the garden space is. KISS. Ever heard the expression "Keep It Simple (Stupid)"? It applies to your garden as well. Consider going with the 3, 5, 7 scapes. Add borders of 3, 5, or 7 plants, around the perimeter of the garden space. Make sure you evenly space the plants. Make sure you create a fun, unique design, but don't try to go too over the top, or do something that is unconventional. If you don't know what you are doing it will make things worse, and won't appear the way you would hope it would appear. Your garden is a focal point of your home. In order to ensure you get the most out of it this summer, these are a few tips to keep in mind. If you would like some more tips on how to make the most of your garden this summer you can take a look at www.gardenflame.co.uk.